For most of us, 2012 is proving to be a financially challenging year so far. We’re having to tighten our belts, and find increasingly creative ways to make our monthly wage stretch little further. For some people that means sacrificing luxuries and cutting back on purchasing new technology; including pricey cell contracts. Step in the pre paid SIM! But what is a Pre-paid SIM deal? How does it work and is it the right option? SIM stands for Subscriber Identity Module and is an integrated circuit that stores the International Subscriber Identity (IMSI). It is the key used to identify and authenticate mobile telephony subscribers and sits at the heart of every cell; securely storing important information that can be quickly and easily accessed. On some networks the cell phone is locked to its carrier SIM, meaning that only the specific phone providers SIM will work. This is the case in most ‘contracted’ deals that require a user to stay with a provider for a specified period of time. However, there are several companies that offer a SIM lock removal service, making it possible to use the phone on any network by inserting a different SIM card. Remember that bill you forgot to pay three years ago? Well, even if you don’t, the credit agencies will! However, when purchasing a pre-paid SIM, none of this matters, as they won’t be checking your credit file. You simply enter the SIM into the phone of your choice, and you could be texting your pals in a matter of minutes. The Vodafone Promo Codes site has several SIM only deals that are worth checking out! A pre paid SIM takes most of the worry out of your teen owning, (and using) a mobile. There will be no expectedly high bill at the end of the month because they’ve lost track of time when talking to their friends. It can also be used as an incentive for getting them to do jobs around the house, in order to earn additional credit. A pre paid SIM is a great option for anyone wanting the peace of mind owning a cell gives, without being tied into a lengthy contract that you have to pay whether you use the phone or not. With the average cell phone contract lasting between 18-24 months, a pre paid SIM offers you the freedom and flexibility contracts (post paid deals) don’t. This is particularly tempting if you like to regularly change your phone or are unsure of your financial situation for the next couple years, maybe because of having a baby or thinking of changing jobs. 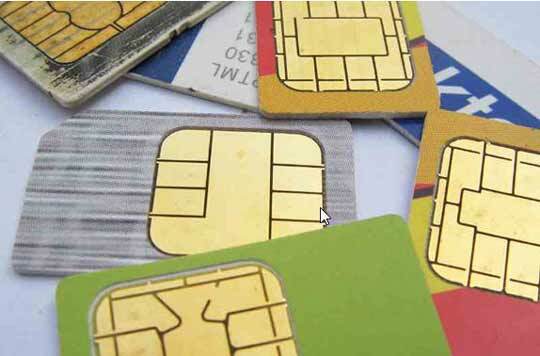 SIM cards store all your important information in one safe, central location. If you like to regularly change your phone, there is no need to continuously back up or write down your contacts. This article was written by Kathryn Thompson, an experienced technical blogger who has written about topics from GPS trackers to the latest in mobile technology.